Customize the Hand Carved Fluted Bun Foot by choosing an Add-On below. With hand carved details, the 8″ Bella Bun Foot will enhance your Classic Revival style with a modern touch. 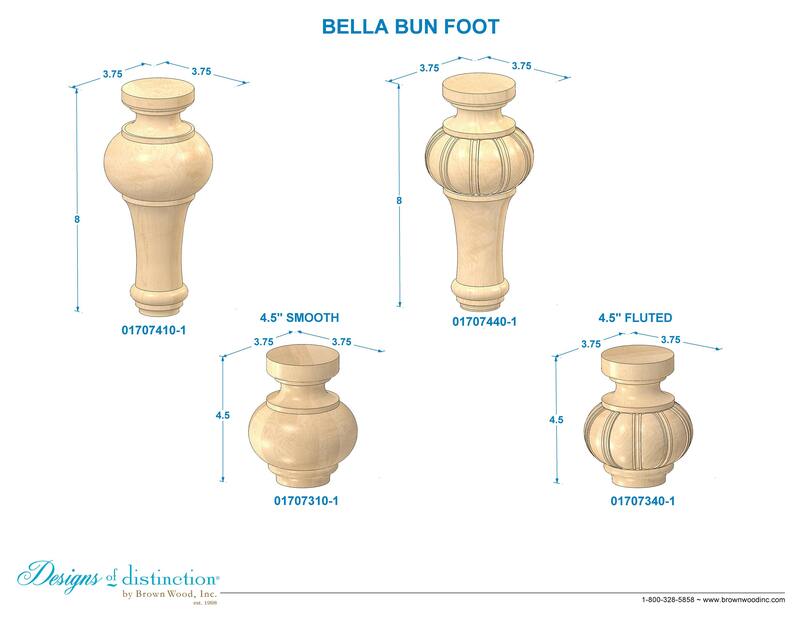 Available in smooth or fluted finish, the tall 8″ Bella Bun Foot is the perfect adornment for seating, chests, bed frames, and other choice furniture pieces. Establish a theme using all wood and metal components from the Classic Revival Collection.